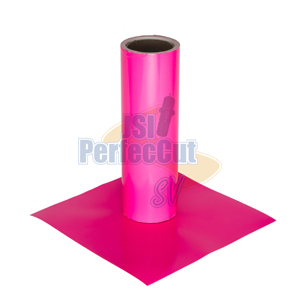 Fluorescent vinyl films are extremely bright, high gloss films designed for the use in the automotive, RV, marine, architectural and general signage markets. FACE FILM: pigmented, high gloss, premium vinyl film. RELEASE LINER: 78 lb silicone coated bleached kraft. OUTDOOR DURABILITY: All fluorescent pigments will typically fade when exposed to sunlight. These films, as such, are recommended for short term applications outdoors of less than 12 months and will start to fade after a few months if exposed to much sunlight.